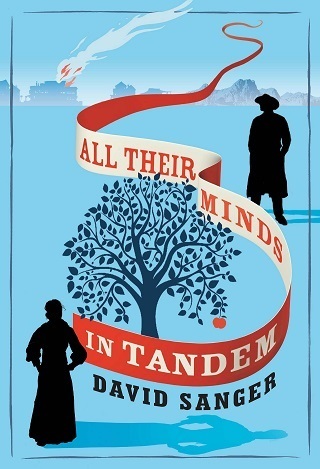 BleachHouseLibrary.ie: Blog Tour - "All Their Minds In Tandem" by David Sanger. Exclusive Extract. Blog Tour - "All Their Minds In Tandem" by David Sanger. Exclusive Extract. The setting is October 1879. The stage is New Georgetown, West Virginia. A mysterious figure by the name of 'The Maker' has entered this small community and, almost immediately upon doing so, started entering the minds of the townsfolk. Townsfolk who are as curious as The Maker himself. Like Dr Umbründ, the pint-sized physician with a prodigious capacity for sin; like the three sisters in the house on the hill - one stern, one wild, one mysterious; like the tavern's semi-mythical siren, 'The Bird', who plays spellbinding music from behind a black velvet curtain, and whom no patron has ever laid eyes on; like Odell, a youth with dreams and ambitions that his craven disposition will forever prevent him from seizing; and who has spent the entirety of his erstwhile existence under the crushing heel of Clay, New Georgetown's lead cad and chief alpha male. As we enter these characters' lives, and lightly tread our way through their brains, their bedrooms, their backstories and beyond, we will see what it is they all hope for and hide - and learn just why The Maker has chosen to meet them. Emerson arrived and was glad for it. His heavy pack had long since begun to cut into his skin and, at seeing the fresh sign that read Post Office, he dropped it from his shoulders and dragged it the last few paces. Where other men tied their horses, Emerson left his pack, securing it to a wooden post. He trusted the lack of interest regarding its contents more than the men who walked by, and casually strode into the building. A heavyset woman with greying brown hair leaned over the main desk as she sifted through a tall pile of letters. Her face was red with exertion, and a sheet of paper, possibly a letter, stuck to one of her clammy forearms. She didn’t seem to notice, nor did she look up once Emerson walked in. He gazed along the sides of the post office. On the floor near a window was an upturned crate sat next to another. On the second one stood a stack of white paper, pristine and neatly ordered. Emerson walked up to the desk and placed his hands there, pushing back the edges of envelopes with his fingertips. ‘I’m here to collect some mail,’ he said. The woman smiled and looked up. She fanned her red chest with the clutch of envelopes in her hand. She stepped back into a slight corridor lined with pigeonholes. ‘It’s more a title,’ Emerson began, the words soft. ‘Name,’ the woman called, not hearing him. ‘Baker?’ the woman returned, tracing a finger along the italicised names below each hole. ‘The maker,’ Emerson repeated, looking over his shoulder to the door. The woman looked at him and her face pushed back in the folds of her neck. A rumble came from her chest and she blew out a belch, diverting her breath as best she might. ‘The maker?’ she asked. Emerson nodded, turning back to her. The woman muttered some things under her breath and took to looking over the names on the holes once more. She halted over one of the pigeonholes and peered closer, as though doubting the handwriting. With a thumbnail, she pulled the slip of card from its brass frame and studied it. Emerson watched as she wandered over and held it up to him. She strode back and took a cream envelope from the pigeonhole, tapping it against her shoulder as she went. She handed it to Emerson and then tore the label in two, all the time watching his face. Emerson pocketed the envelope and met her eyes. The woman went back and looked impatiently over the names before finding the one labelled Emerson. She pulled a fold of paper from this hole and handed it over. ‘Any more names?’ she asked him, her faced twisted with suspicion. The woman’s eyes widened before she returned to poring over the envelopes in front of her. ‘And there was me about to tell the Gazette all about it,’ she said under her breath. Emerson smiled and placed the fold of paper in his pocket next to the cream envelope. He took one of the dollar bills he’d gotten earlier and pushed it across the desk. The woman’s eyes fixed on it like a hawk’s on a mouse. ‘I’d right appreciate it,’ Emerson said. The woman looked up, her fat, reddened face suddenly kinder. ‘And would there be anything else I could help you with, young sir?’ she said. Emerson felt the stab of the woman’s enquiries and nodded to her in thanks. Once he was outside, he drew in the cool evening air, pleased to find his pack still there. Pulling the envelope from his pocket, he tore along its edges and spilled the contents – a single white card – into his hand. Meet me at the Long Cape tavern. Wednesday 15th, six o’clock. The writing was finely done and gave Emerson the impression of great wealth. But he noticed the absence of a name and pondered whether to tear it up and head back the way he came. The farmer’s son would most likely sell him back his horse for those same three dollars. He looked down at the card again. Today is Wednesday, thought Emerson. As though the town conspired to play out the urgency of the situation, he heard the bell strike five. He twirled the card in his hand and watched as the gas lamps at the far end of the street were lit. He had not noticed the darkening blue of the sky and would have to make up his mind soon enough lest he want to sleep rough. He read the card once more and then placed it back inside the torn envelope. Untying his pack from the post, he heaved it on to his back, the straps neatly settling in the painful grooves from before. More lights were lit as several men worked their way down the street towards him. ‘I’ll meet you at the Long Cape,’ Emerson said in a hushed voice, as though the light might overhear his words. All Their Minds in Tandem by David Sanger is published in Hardback, by Quercus. David Sanger was born in Maidstone in 1984. He has previously worked for Faber & Faber and Scholastic Children's Books. He studied acting at LAMDA before reading English at King's College London and has written for Sofilm Magazine. He has lived in Berlin and London, and is currently based in Kent. 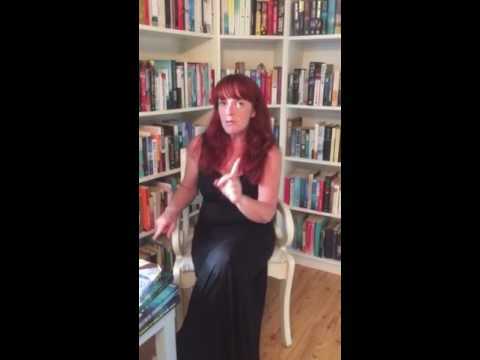 Book Review - "The Missing" by C.L. Taylor.